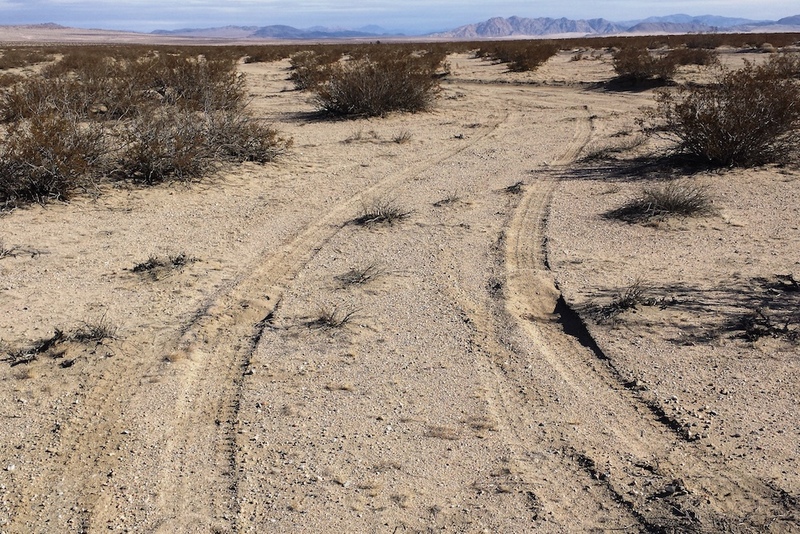 [wimtba]The indigenous peoples of the Mojave Desert adapted to the gradual drying of the landscape in various ways, but the springs and rivers were vital to their survival. Some early residents of the Mojave Desert stayed relatively stationary along the permanent Colorado River, like the Mojave Indians in the eastern part of the desert, or Cahuilla Indians in the southwest. Others were more mobile, like the Chemehuevi Indians. But for all, travel across the desert required an intimate knowledge of the landscape. Native peoples carefully mapped water sources, and occasionally included them in parts of song cycles, creating a verbal picture of the network of water locations to help guide their way. Various factors drove their movement, including seasonal food harvests in the mountains (pine nuts) or valleys (mesquite pods), communal hunting parties for bighorn sheep or rabbits, small-scale mining for salt and turquoise, and trade with coastal tribes. As residents followed game trails, traveled to familiar food sources, and traded, their routes, ever linked to ephemeral springs and rivers, became established tracks.